Each semester, you will receive a new collection of high-quality music from around the world, specifically chosen for young children—to give rich music exposure for their developing brains and to be FUN! 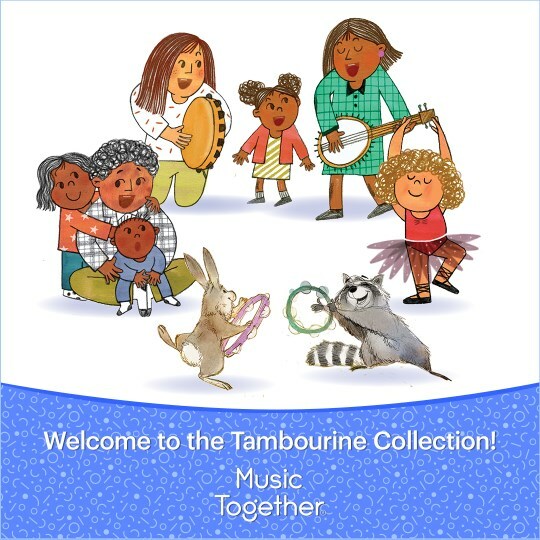 You will get a CD of music, a digital download code to unlock the music in the "Hello Everybody" app, and a gorgeous, fully-illustrated picture book to read and sing-along to at home. You will also receive a Parent Guide chock-full of the research behind every little thing we do in class. Payment is due at the time of registration. Due to budgeting concerns, no tuition refunds can be given after the 2nd week of classes. $42 of your tuition covers the Curriculum Fee that goes to Music Together® LLC to support research, curriculum development, teacher education, and much more. This fee is non-refundable. Please leave snacks and toys at home; help us keep children with food allergies safe. Please plan to arrive a few minutes before the class start time, to help your child transition into the class with the Hello Song. Our classes are super fun! Come ready to sing, dance, drum, laugh, and have a great time.